This is the central cross (P38) of three standing on graves on a triple plot containing five female members of the Jephson family. Grave P39 to the left has lost its cross. THE REV. W. JEPHSON M.A. BLESSED ARE THE DEAD WHICH DIE IN THE LORD FROM HENCEFORTH." REV: XIV. 13. Ann Sarah Armroid was born in Shadwell, Middlesex on 17 December 1796. She was described in the Gentleman’s Magazine as being of Camberwell in Surrey when on 31 March 1817 she married the Revd William Jephson, who in 1803 (after gaining his M.A. at St John’s College, Cambridge and being ordained) had succeeded his father Thomas as Headmaster of Wilson’s Grammar School in Camberwell, a post he was to hold for almost forty years. Prudence Armroid Jephson (born in Camberwell on 18 February 1839 and baptised at St Giles’s Church there on 9 August). At the time of the 1841 census, William and Ann Jephson were living at Camberwell with nine of their children (with Thomas, Alexander, and Elizabeth the three not at home). By the following year, however, William Jephson had gone blind and had to resign as headmaster. The family’s first obvious contact with Oxford was when two of their sons (who both became clergymen) were matriculated at the University of Oxford on the same day (11 March 1847): John Hilton Jephson was matriculated from Magdalen Hall at the age of 18, while William Jephson junior (who had already had obtained his B.A. in 1841 at Corpus Christi College, Cambridge) was admitted “ad eundem” at the age of 28. 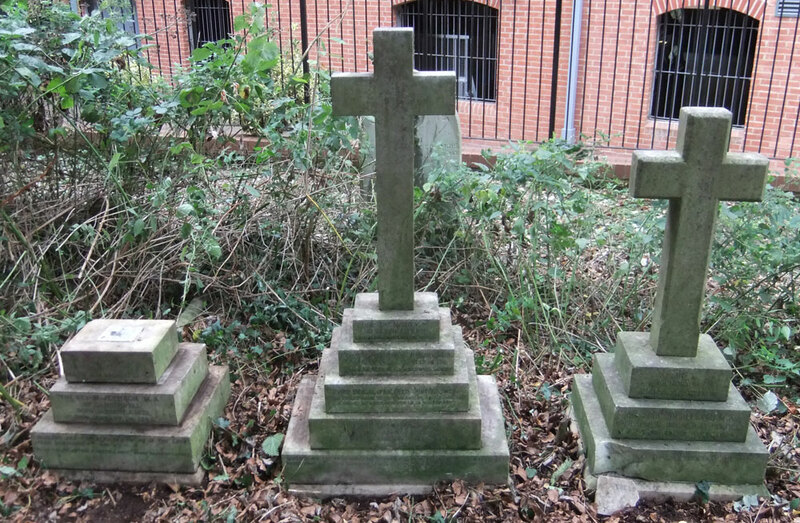 † William Jephson senior died at Kenton Lodge, Harrow on 16 July 1848 (will available in National Archives). † Miss Anne Maria Jephson died in 1854 at the age of 34 in her uncle’s house in Hanworth, and was buried there on 30 May: she was the first of the seven sisters to die. The first of the two sisters who married was Miss Elizabeth Lee Jephson, who married Philip William Flower in the Totnes district in the third quarter of 1859. He was an East India merchant twenty years her senior, and she took on his seven young children and went on to have eight more of her own: ?Lewis Flower (1860), another son (1862), Ethel Jephson Flower (1863, died same year), Percy Jephson Flower (1864), Hilda Jephson Flower (1865), Alexander Jephson Flower (1867), Evelyn Jephson Flower (1868), and Lionel Jephson Flower (1870). They were living at St Leonard’s on Sea in 1861. In 1861, Mrs Anne Sophia Jephson and her five surviving unmarried daughters — Jane (39), Mary (38), Sarah (28), Alexina (24), and Prudence (22) — were still living at Hanworth with their uncle Thomas Jephson. His sister Mrs Spyers died there in 1863, and he died within the year on 6 January 1864. His will was proved by his nephew Thomas Spyers, and his effects came to less than £3,000. † Jane Jephson died near the beginning of 1869 in the Chelsea district: she was the second of the seven sisters to die. By 1869 Mrs Jephson appears to have moved with her surviving four unmarried daughters to Oxford, as Miss Sarah/Norah Jephson is reported that year as singing with the Oxford Philharmonic Society. The family initially lived at The Crescent, Park Town. At the time of the 1871 census Miss Mary Jephson (48) and Miss Sarah Jephson (38), were at home in the Crescent with two servants. Mrs Jephson (79) and her youngest daughter Prudence (32) were paying a visit to Elizabeth Fotheringham in Balham Road, Streatham, and her other unmarried daughter, Alexina (34) was staying with her married sister Elizabeth Flower and her husband Philip Flower, who were living in style at Furze Down, Streatham with eleven servants (a governess; two footmen; a cook, scullery maid, and two housemaids; a nurse and two under-nurses; and a lady’s maid). Within the year, however, Philip William Flower died at the age of 62 (reg. Wandsworth first quarter of 1872). 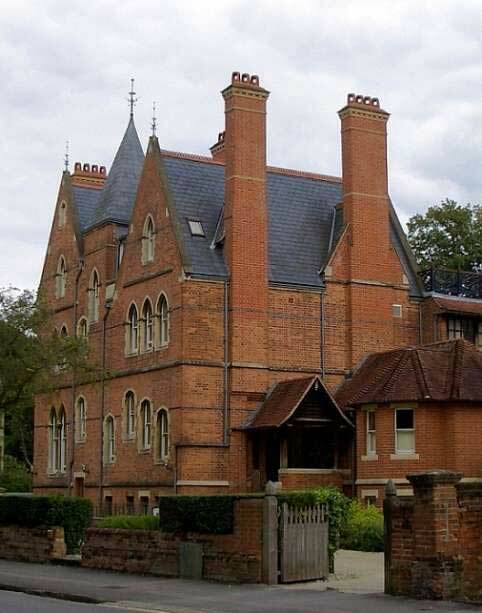 In 1877 Mrs Jephson’s third daughter, Mary Jephson, became the first leaseholder of 19 Norham Gardens, Oxford, a mansion which she called Gunfield, and her mother and some of her sisters came to live with her. Right: 19 Norham Gardens, photographed by Jacqueline Banerjee in 2008. 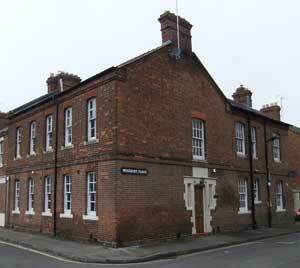 By 1901 it had become part of Lady Margaret Hall, and is now an accommodation block of St Edmund Hall. † Mrs Ann Sarah Jephson died at 19 Norham Gardens at the age of 81 on 25 June 1878, and was buried in the treble plot reserved for the family at St Sepulchre’s Cemetery on 19 June (burial recorded in the parish register of St Giles’s Church). June 25, at Gunfield, Norham Gardens, Oxford, Ann Sarah, widow of the Rev. William Jephson, M.A., formerly Master of the Royal Grammar School, Camberwell, Surrey, aged 81. Her four surviving unmarried daughters Mary, Sarah, Alexina, and Prudence were joint executrices, and her effects came to nearly £600. Between 1871 and 1879 it appears that their brother John Hilton Jephson and his wife Emma came to live at 19 Norham Gardens with his sisters. Emma died there in 1879 (see separate grave). In the first quarter of 1881 Mrs Jephson’s sixth daughter, Alexina Jephson, was married to Harry Webb in the Totnes district: she was 44, and he was 21. At the time of the 1881 census, Miss Mary Jephson (58), the eldest of the spinster sisters who came to Oxford, was the head of the household at 19 Norham Gardens, with her income derived from houses and land. Living with her were her widowed brother John Hilton Jephson (53) and her unmarried sisters Norah (48) and Prudence (42), both described as annuitants. They had six servants: a cook, butler, lady’s maid, housemaid, kitchenmaid, and under-housemaid. Their widowed sister Mrs Elizabeth Flower, who was soon to come and live with them, is hard to find in 1881; her son Percy (16) was at Eton, and her son Cyril (14), who was deaf and dumb, was boarding with a London doctor. On 22 October 1881 Jackson’s Oxford Journal reported on a case in the Oxford City Police Court: Alfred Walker, a fish hawker and “inveterate drunkard” of Eagle & Child Yard was charged with smashing a window at 19 Norham Gardens at 8 p.m. on Thursday 13 October 1881 in order to force his wife to come home with him. Miss Jephson had been looking after his wife and children in her home since the Mayor had made a judicial separation on the previous Tuesday. By the time of the 1891 census Miss Mary Jephson (68) was sharing her house with three of her younger sisters: Miss Norah/Sarah Jephson (58); the widowed Mrs Elizabeth Flower (61); and Miss Prudence Jephson (52), as well as her niece Miss Bertha Jephson (32), the daughter of her brother William. They now had an impressive array of eight servants in the house: a butler, cook, lady’s maid, housemaid, under-housemaid, kitchenmaid, scullery maid, and a 13-year-old page. 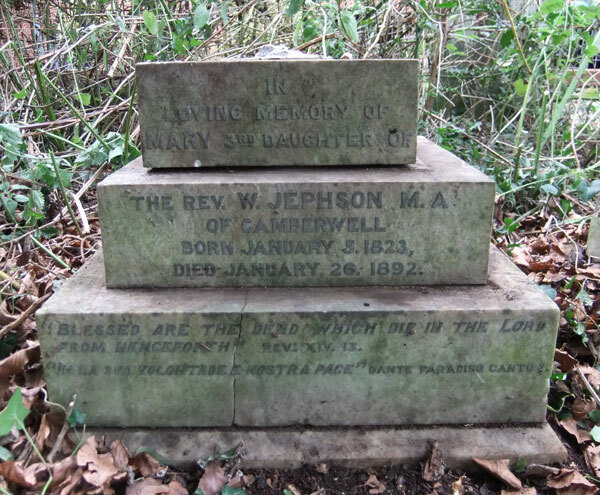 † Miss Mary Jephson died at 19 Norham Gardens on 26 January 1892 and was buried at St Sepulchre’s Cemetery on 30 January in a plot adjacent to that of her mother (burial recorded in the parish register of both St Giles’s and Ss Philip & James’s Church). The arrangements of the funeral were entrusted to the case of Messrs. Elliston and Cavell, Magdalen-street. The loss of Miss Jephson will be felt by all classes in Oxford. She and her sisters who have passed away before her devoted the greater part of their income, and what is of more real value, their own lives, to the good of their fellow creatures. Such devoted women are amongst the brightest and most inspiriting characters in our Christian civilisation, and words are inadequate to give an impression of the void which their absence leaves in our midst. Mary’s will was proved by Joseph Edward Moore, Esq. and Harry Webb solicitor, and her effects came to £12,686 7s. 6d., far more than her mother’s. She left a legacy which enabled a crèche and invalid kitchen for working mothers to be opened in 1893 in the poorer west part of Oxford (on the corner of Woodbine Place and Osney Lane, right). † Miss Prudence Armroid Jephson died at 19 Norham Gardens on 3 June 1897 at the age of 58 and was buried in St Sepulchre’s Cemetery (burial recorded in the parish register St Giles’s Church). JEPHSON — On the 3rd inst., at Gunfield, Norham-gardens, Oxford, PRUDENCE ARMROID JEPHSON, youngest child of the late Rev. W. Jephson, Head Master of the Grammar School, Camberwell, aged 58 years. Prudence’s will was proved by the same executors used by her sister, and her effects came to £6,813 1s. 8d. 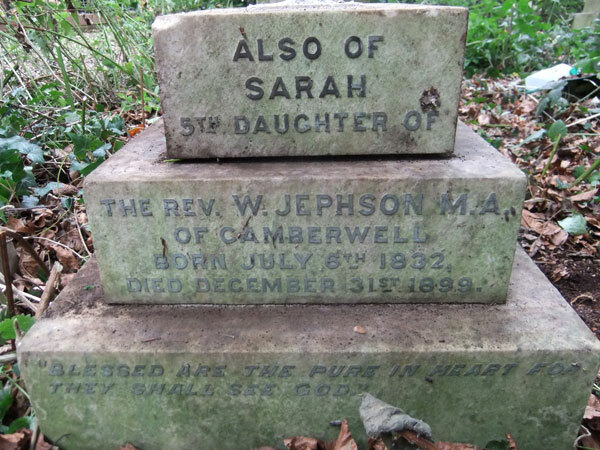 † Miss Norah (or Sarah) Jephson died at Landor House, Winchester (the home of her brother-in-law) at the age of 66 on 31 December 1899 and was buried at St Sepulchre’s Cemetery on 4 January 1900 (burial recorded in the parish register of both St Giles’s and Ss Philip & James’s Church). There was a large number of beautiful wreaths and other floral emblems, the senders including Mrs. Rutherford Smith, Miss Desborough, Mrs. Luge, Mr. and Mrs. Moore and family, Dyffryn Neath, South Wales, Mrs Gwyn, Dyffryn Neath, Mrs. [Alexina] Webb (sister), the Church Army and poor people of St. Ebbe’s, Mrs. H. Ingles Webb, Mrs. Henry Ramus du Pré, Mrs. Villiers Smith, Miss F. Ladesder, Miss M. A. B. Marshall, Miss Hunt, “F.L.”, “H.C.”, A. Stevens, and the Servants at “Gunfield” and Landor House. The funeral arrangements were in charge of Messrs. Elliston and Cavell. William Jephson (born 1818) started off his career as a master at Harrow School. By the time of the 1851 census he was the Curate of St John the Evangelist, Westminster, and living with his wife Elizabeth and his children Cuthbert (5), Alban (3), and Oswald (1) and his mother-in-law Mary Joyner, plus four servants, at 14 Millbank Row, Westminster. He was Rector of Hinton Waldrist in Berkshire from 1853 to 1880, and at the time of the 1861 census he was living at the Rectory, Hinton Waldrist, with his wife and his seven youngest children: Oswald (11), Edith (9), Arthur (8), Hubert (6), Cyril (4), Bertha (3), and Maynard (1). He was also Inspector of Schools for the Oxford diocese from 1856 to 1876. He was Chaplain at Geneva from 1877 to 1881. He was living in Haute Savoie, France in 1895, and died in Geneva at the age of 87 on 23 May 1905. His son Cuthbert Armroid Jephson married Emily Josephine Cotes in Taunton in 1870, and their son Digby Loder Armroid Jephson (1871–1926), who dutifully attended the funerals in Oxford of at least two of his great-aunts, became a famous cricketer who played both for the University of Cambridge and Surrey. Thomas Jephson (born 1824) emigrated to Australia, arriving at Port Jackson in New South Wales on 28 September 1839. In 1854 he married Letitia Arabin, an Irish governess, and they settled in Queensland. They had two sons who died in childhood: William (1854–1857) and Edward (1858–1865). Despite owning about 40,000 acres, Thomas Jephson started to have money problems, so his wife Letitia established a school in Brisbane in 1860. He was bankrupt by 1867, and died in 1870 at the age of 45. His widow ran a boarding house in Brisbane, and died in about 1912. 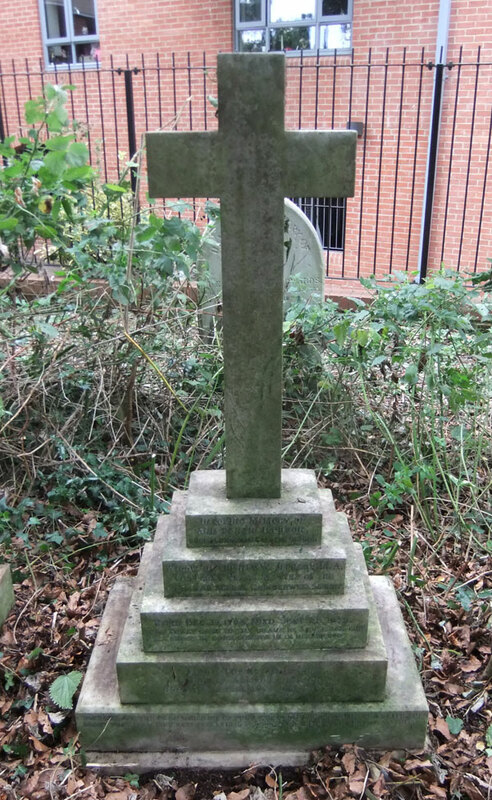 John Hilton Jephson (born 1828): see the grave of his wife Mrs Emma Jephson for his further biography. Elizabeth Lee Jephson (Mrs Flower), who was widowed in 1872, was living with her sisters at 19 Norham Gardens in 1891. After their death she went to live with her unmarried son Percy, who was a farmer in Banbury. At the time of the 1901 census Elizabeth (71) and Percy (36) were living at Upper Lea, Swalcliffe with four servants. Elizabeth died in the Banbury district at the age of 79 near the end of 1909. Herbert Alexander Jephson (born 1836), who was a schoolboy of 15 at the time of the 1851 census, emigrated to Australia shortly afterwards, probably to join his older brother Thomas, who had a property in the Castlemaine area. He too must have got into financial difficulties, as he was working as a labourer when at the age of 54 he drowned near Castlemaine in 1890, when his cart overturned in the fast-moving Serpentine Creek. Alexina Jephson (Mrs Webb) (born 1837) did not marry until she was aged 44 and had no children. At the time of the 1901 census Alexina (64) was living at Landor House in Winchester with her husband Harry Webb (41), who was a solicitor, and their four servants. They are hard to find after that date. THE JEPHSONS. The Jephson family have long been associated with the parish of Camberwell, more particularly as connected with the Free Grammar School. The first of the family to settle in Camberwell was Alexander Jephson, Fellow of Trinity College, Dublin, who was compelled to escape from Ireland in the days of Tyrconnel, after having preached a sermon on Deborah and Barak on the landing of William and Mary. The sermon was interpreted as seditious, and he would have been imprisoned by the lord lieutenant if he had not escaped to England. He became master of the Grammar School at Ratcliffe, and from, thence, with seventy boys, removed to Camberwell School in the year 1700. He was rector of Bellhouse, in Essex, and was succeeded in his school by his son William, who was a Fellow of St. John’s College, Cambridge, and rector of Little Hormead, Herts. He was succeeded by his son Thomas Jephson, who took his degree at St. John’s College, Cambridge, in honours, but never took holy orders, because when a boy he lost his leg, and he is stated to have conceived a strong opinion that a mutilated man should never be ordained. He was a very successful schoolmaster, and had a very large school. He always had a great desire to raise the number of his scholars to one hundred, but he never succeeded in getting beyond ninety-nine. He was succeeded in the school by his son, the Rev. William Jephson, also of St. John’s College, Cambridge, who held the position of master in the school till 1842, when loss of sight compelled him to resign his position. A son of this gentleman is at present rector of Hinton, in Oxfordshire. The Jephsons always took an active part in all local charities and institutions, and the Misses Jephson were the principal originators of the Camberwell Savings’ Bank. 1703. Ap. 3rd, bap., Ann, dau. of Mr. Alexander Jephson, master of ye Free Grammar School of Camberwell. 1703. Sep. 8th, bur., Ann. dau. of Mr. Alexander Jephson, master of the Free Schoole. 1704. Oct. 13, bap., & bur. 7th March, 1705, Thomas, son of Mr. Alexander Jephson, master of ye Free Grammar School. 1705. Oct. 17th, bap., and bur. Oct. 25th, Henry and Jane, children of Mr. Alexander Jephson, master of the Free Grammar School. 1724. Aug. 28, bap., William, son of ye Revd Mr. William Jephson and Mary his wife. 1736. July 30, bap., Mary, dau. of ye Rev. William Jephson and Mary his wife. 1738. May 1, bap., Alexander, son of ye Reverend Mr. Wm. Jephson and Mary his wife. 1739. Dec. 11th, bur., Mrs. Mary Jephson. 1739. Dec. 11th, bap., Thomas, son of ye Revd. Mr. William Jephson, born Nov. 30th. 1745. Aug. 9, bap., Catherine, dau. of ye Rev. Mr. William Jephson and Martha his wife. 1761. July 6, bur., the Reverend Mr. Wm. Jephson, Master of the Free School of Camberwell. 1762. Jan. 15, bur., Charles Jephson. 1764. Jan. 30, bur., Elizabeth Jephson. 1764. May 7, bur., Mrs. Mary Jephson. 1768. Sept. 29, bap., Elizabeth, dau. of Mr. Thomas Jephson and Elizabeth his wife. 1770. Ap. 25, bap., Thomas, son of Thomas and Elizabeth Jephson. 1772. Mar., bap., Mary, dau. of Thomas and Elizabeth Jephson. 1773. June 25, bap., and bur. 2 Sep.
1773, Mary, dau. of Thomas and Elizabeth Jephson. 1778. May 13, bap., Sarah, dau. of Thomas and Elizabeth Jephson. 1779. Feb. 2, buried, Prudence Jephson. 1779. Nov. 19, bap., Alexander, son of Thomas and Elizabeth Jephson, buried Nov. 7, 1781. 1780. June 3rd, bur., Thomas Jephson. 1782. Feb. 27, bap., Martha, dau. of Thomas and Elizabeth Jephson. 1784. June 4, bap., Thomas, son of Thomas and Elizabeth Jephson.